The Dakota set is reminiscent of the furniture built by some of the first pioneers with their limited tools. 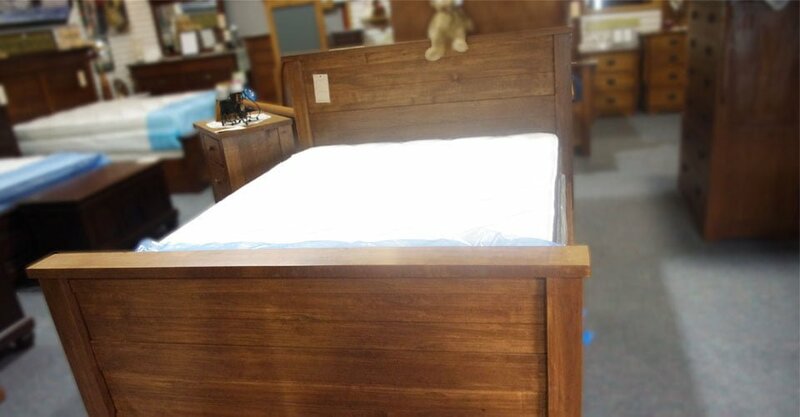 It is handcrafted in solid pine or wormy maple and has dove-tailed drawers and full extension ball bearing slides. It is available with your choice of stain colors and bed sizes (king, queen, double, and single).